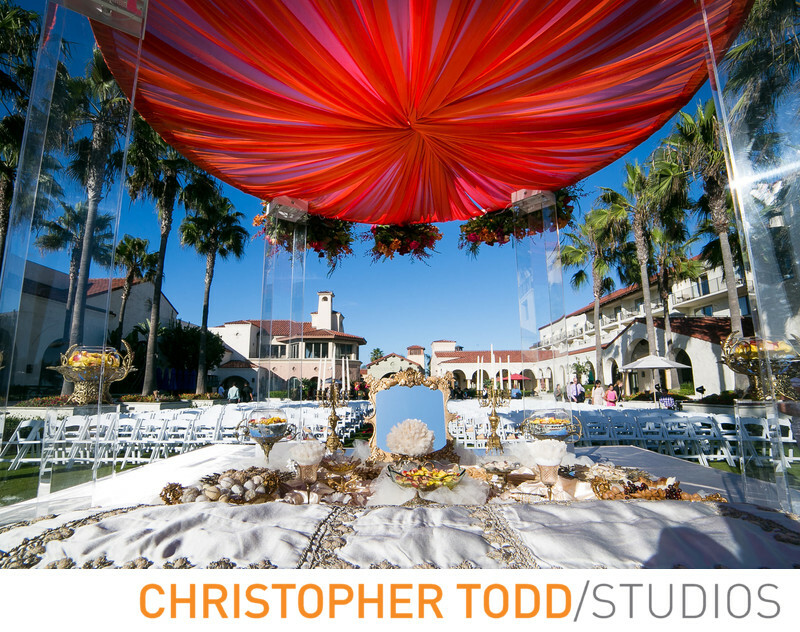 This photo is of an Indian Mandap ceremony over a Persian Sofrye. It was a a beautiful hybrid wedding at Hyatt Regency Huntingotn Beach. Location: 21500 Pacific Coast Hwy, Huntington Beach, CA 92648.